Cool finds at their new Melbourne store. 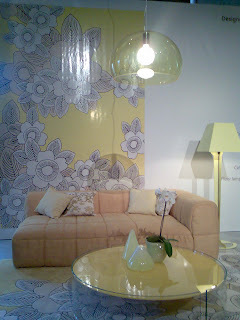 Ever stylish Panton chairs ... and glass vases just like I bought from the Sydney store. Great buys can be had with accessories, not just big-ticket items. For those of us who find paying full retail price for anything equivalent to a trip to the dentist then Home Furniture On Consignment is a great place to shop for homewares. I certainly managed to find some bargains when I was putting the finishing touches to my apartment. I bought a Parker nest of tables which I have arranged as a coffee table and some mercury-glass-style vases similar to the ones on the dining table (pictured above). Recently owner Scott Faso opened an HFOC store in Melbourne and spoke to me about what makes HFOC so successful. When and why did you open HFOC? We opened in 2002. I saw a need for the type of resale furniture businesses that I was used to in Southern California. When I moved to Australia I couldn’t believe how expensive everything was and there was no way of reselling top-end furniture. Why consignment? Consignment gives the vendor a better return because HFOC is selling the items on their behalf. HFOC can work on a lower margin than a traditional furniture business. This gives the vendor a higher return and the purchaser a lower price. Has the response from customers been what you expected? 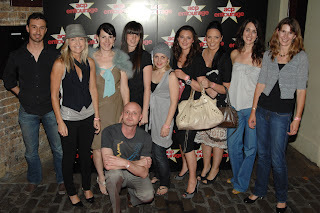 We have been busy since we opened the door in Foster Street, Surry Hills in 2002. We tripled the size of HFOC when we moved to Doody Street, Alexandria and then opened Melbourne in September 2007. What five words best describe your store? Beautiful furniture at affordable prices. What’s the trick to buying consignment? Keep your eyes on the website www.hfoc.com.au and DON’T procrastinate. If something is a bargain it WON’T LAST!!! Photos courtesy of Home Furniture On Consignment. A painting similar to the one I bought yesterday. 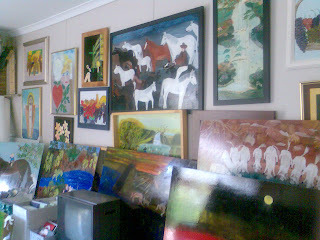 The walls in Gina's home are covered with her artworks. Gina has completed more than 2000 works. 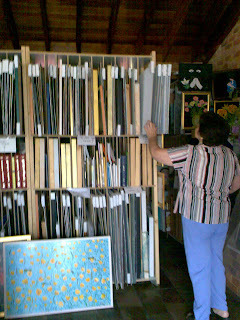 Paintings are organised according to subject matter such as Istria or Flora and Fauna. How many excuses have you made for that project you always wanted to start? Or the one you've never finished? If you've ever said to yourself, "it's too late", then I am here to prove you wrong. Well, not so much me as Gina Sinozich. This amazing woman started painting at the age of 70 when her husband became ill with dementia and house-bound. With a large house almost all to herself, Gina needed some project to occupy her time and mind. So she started painting ... and painting ... and painting. 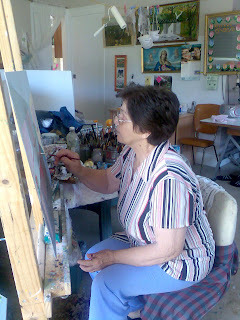 Seven years later she's completed more than 2000 works: that's about one painting every day! Her works have been hung and bought by the National Gallery of Australia, the Australian National Maritime Museum and countless collectors. She's also been featured on the 7.30 Report, a documentary The Passion of Gina Sinozich (which featured in the Melbourne International Film Festival) and several books. Her story is truly inspiring. So how do I know Gina? She's an ex-next-door-neighbour's grandma! Yes, it's a small world but it just goes to show that anything is possible and, that other cliche, you never know until you try. Yesterday Daniel and I went to visit Gina at her Sydney home. It was a visual treat. The garage has been converted to a studio and every inch of wall space is covered with her works. She's certainly prolific. Her pieces are executed in a folk style and have such resonance because they tell the story of an immigrant who fled Istria in the former Yugoslavia with her family. Daniel and I bought a painting from her similar to the first one pictured above. It tells the story of her family's escape and everytime I read the text, I get a lump in my throat. And, for me, that is what buying art is all about: connecting with a piece and never wanting to let it go. I really cannot believe it's Friday. And I just know that the weeks are going to pass even faster now that we're approaching the silly season. 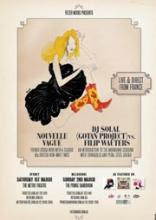 Next week is the ACP Magazine's Christmas party and seemingly a hundred other events. So what happened this week? Monday - panic stations: we've got five weeks to finish off two issues of Real Living! Tuesday - glamour lunch: Real Living hosted a Christmas lunch for industry players. Radio personality Jackie O was the host, celebrity chef Pete Evans catered and McGuigans Wines provided the vino. 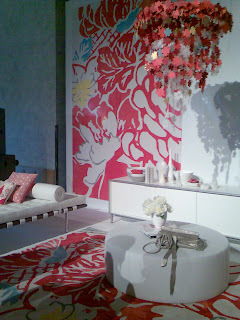 The event was styled by Alice Flynn: she recreated our Christmas cover and the room looked amazing. I'm kicking myself that I didn't take a photo. Wednesday - Designer Rugs 6 on 6: the (slightly grainy - sorry!) photos above were taken at a Designer Rugs event where they asked 6 interior magazines to create 6 room sets using only 6 items. 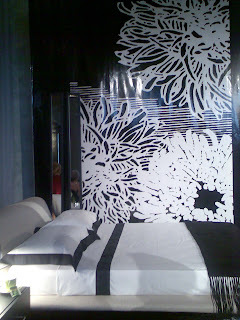 The rooms also had to incorporate the latest rugs that fashion designer Akira Isogawa created for them. Thursday - cake time: baked an orange and poppyseed cake from Donna Hay's Classics 2 cookbook: delicious!!! Friday - congrats: one of my very good friends Bianca Tzatzagos just won Editor of the Year at the Bell Awards. She's such an inspiration to me - basically styled my entire wedding. Hoping to do a post on her soon. This weekend? An election party (not as bland as it sounds) - think David Williamson's play Don's Party (okay, maybe not that much debauchery) and a 30th birthday party on the same night. Also, driving out to Casula on Sunday to get a painting restored. I bought it a few years ago from an amazing woman Gina Sinozich who only started painting at age 70 and has since had her works bought by the National Gallery of Australia! Painting in Paris. Being selected as a finalist in the Archibald. Comparisons to Tamara de Lempicka. 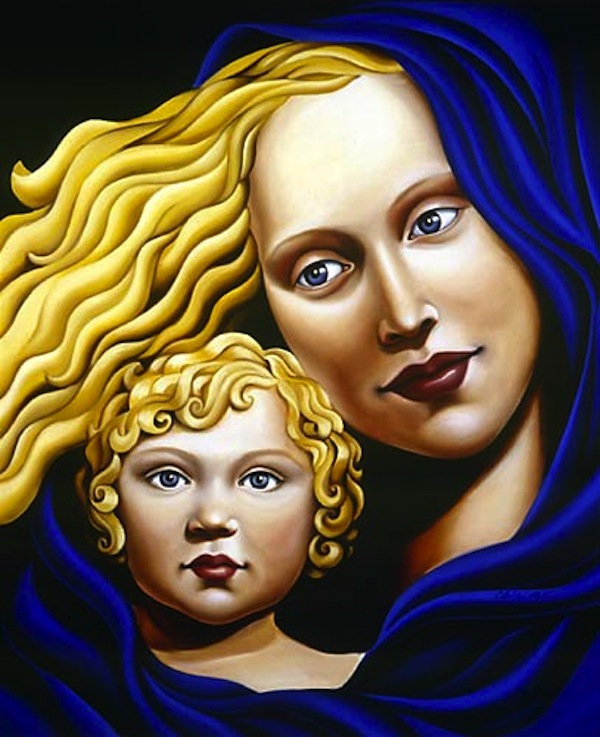 Australian artist Catherine Abel, who started painting later in life, is creating quite a storm. Here she shares the journey she's taken. As a self-taught artist, how did you arrive at the point where you could pursue painting as a career? The decision to become a fulltime artist – to treat it as a profession and not just a hobby was in 2000 when I moved to Paris. Art is such a fickle profession; no guarantees. There were no guarantees that it would work – that my art would be appreciated/accepted and that it would generate an income to support the advancement of my career. But it was 10 years in the dreaming. I had wanted to paint for that long but had my daughter to raise first. By the time I finally had the opportunity to begin, I was afraid to take that first step but i knew that in taking a great leap of faith something to support me would happen. My French boyfriend at the time offered to take me to Paris and support me in taking that first step. I knew that if I didn’t take that window of opportunity I would regret it for the rest of my life. It has definitely paid off. What hurdles did you encounter along the way? The hurdles were my own inner doubts …. I managed to push through those only by sheer willpower to succeed. I really had to trust my own creative instincts. Who was your mentor or inspiration? Tamara de Lempicka, right from the moment I laid eyes on her work back in the late 1980s. I was stunned. She became the teacher i never had. I spent a lot of time in the beginning studying her techniques. Now I think I’ve branched out further than her stylised Art Deco rendering and softened my women more than she did. People are beginning to say to me that I paint better than her but I know that can never be true. She is the master. I am grateful to be eternally her student. Why did you decide to live in Paris? The most amazing experience of Paris was the saturation of art and culture that fed the creative urges inside me. Ever since I was young I was drawn to Paris and the artists who lived there in the 1920s and 30s. When I was a little girl doing ballet I was inspired by Anna Pavlova and Les Ballet Russes. 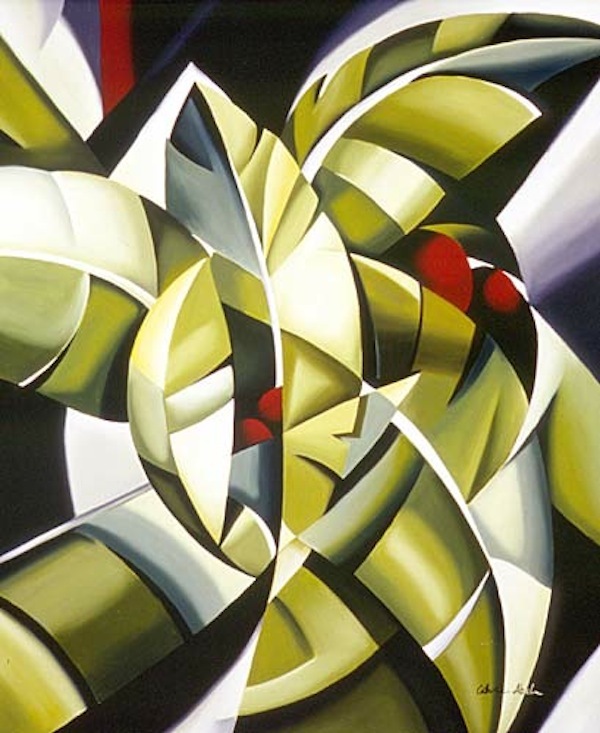 Then as a teenager it was the Surrealists and the Cubists – Picasso, Dali, Tanguay who inspired me to do my art. But all I had were pictures and stories from books. I was deeply moved to finally see the paintings from these artists in real life at the museums in Paris, and to walk the streets that are so alive with the memories of a by-gone era that it’s easy to visualise their presence. What took you to the US? A gallery in California called one day out of the blue wanting to represent me. In the beginning you go where your career calls you. What inspires you? I’m very passionate about the 1920s and '30s – the art, fashion and photography, the architecture, the lives of the artists at that time and their struggles and achievement of their dreams. I am passionate about art, of course – it is my life, but I’m very specific about what I like and what I don’t like. I don’t like art for art’s sake and sometimes I can be very critical especially when it’s obvious that certain art has been produced from a place of exploitation because of a current trend in the market. What moves me the most is the intrinsic process of making art and how every artist expresses their internal dialogue of creativity individually. Women feature strongly in your works. Has this been a deliberate decision? The inspiration and depiction of the beauty of women in art, design and decoration always was and always will be. I am just carrying on a fine tradition! Can you describe the process of creating a work? Each piece takes approximately 3-4 weeks to complete. After doing many sketches to decide the poses and theme of a particular piece, I do a photo shoot with my model and props (ie, vintage shawls, flowers, etc.) 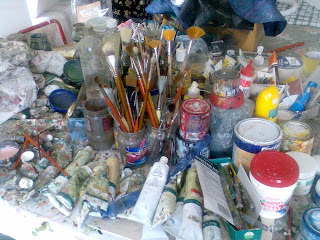 and often new material emerges from that as it becomes a co-creative process between model and artist. I use oil on linen – I like using traditional methods, materials and techniques – and layer the paint in a glazing technique to give a finish without obvious brushstrokes. I like the finished, blended look. Like the old masters. I feel their spirit with me as I work. I love bringing the past and the present together. What has been your proudest moment so far? Being one of the finalists in the Archibald last year. As this was only my second year of entering I didn’t expect to be chosen as finalist at all. The first year I entered a painting of Katie Noonan and although it wasn’t chosen, it was then selected for the Salon des Refuses, which I was very excited about. Last year I painted author Julia Leigh who wrote an exceptional book called The Hunter. I was hoping I would at least get into the Salon again with this painting. I was so excited to receive the phone call saying i had been selected as one of the finalists that I couldn’t concentrate on anything for the rest of the day! 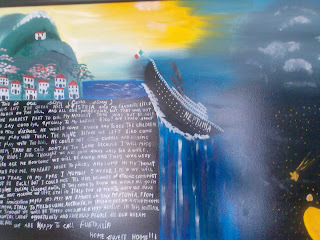 I was so proud to see the painting hanging in the exhibition. About three weeks ago I attended the National Art School Honours Show 07. In the back of my mind I had all those great stories of people buying Brett Whitely works when he was still a student and, as I mentioned in a recent post of Isabella Blow, buying Alexander McQueen's entire range from his degree show. I have to admit I was expecting to see a lot more works and of a much higher standard. However, there were two artists that stood out for me. One was Rebecca Pearson, whose works are featured above. On reflection they're quite similar to Kendal Murray and Lizzie Buckmaster in that they all celebrate the small and seem to be interested in preservation, particularly in glass containers and the like. I'm learning about myself - even now! Anyway, I got in contact with Rebecca and begged her to sell me one of her works (still waiting for answer - that's why I didn't know whether to share her details yet!) as well as learn more about her. I actually love her story because it shows that it doesn't matter if you get side-tracked on your creative journey. Rebecca grew up in Queensland and moved to Sydney to study stage design at NIDA. But after her first year she decided to travel overseas, a journey that lasted six years! "It wasn't until my 30s that I decided to take the plunge and reconnect with my passion for art," she says. "It is the best thing I ever did and have had an amazing four years studying fine art. I also feel I appreciated it more having had the years of past trial and error behind me!" What five words best describe you? Unconventional, humorous, forgetful, creative disorganized. What's your proudest achievement? Finishing my fine art degree! Who inspires you? I am inspired by many people. One Australian artist who I find particularly inspiring is Fiona Hall. What are you passionate about? Creating art works that people can connect with in some way. I enjoy collecting things that have been rejected or thrown away and transforming them into new pieces of art. What's the best lesson you've learnt? Don't give up when things get a bit tough. Its all character building! What person, living or dead, would you most like to meet? There are many but one person that springs to mind is Cate Blanchett. I think she is a great actress and a charismatic person. What are you excited about? Spending more time with my family and friends as I haven't spent much quality time with them while I have been studying. What's next? I wish to continue on my artistic journey and hopefully have a chance to exhibit and collaborate with other artists. rebecca_pearson@bigpond.com Also, I'll post details of her first exhibition when they come through. Photos courtesy of Rebecca Pearson. Stationery shops are sprouting up everywhere and what a happy development. They're great places to buy gifts for friends. And anything that encourages people to get writing to each other again has the stamp of approval from me. I came across this shop, Le Bonbon, which is so beautiful and got chatting with the owner Donna Bosomworth. How and why did you start Le Bonbon? I opened Le Bonbon in March 2007 but started the planning in October 2006. I was wholesaling products into gift stores and there seemed to be gap for quality gifts and stationery that were different to what every other store had on offer. What has been the response? It took a little while for people to realise we were here and that we really had a unique range of fabulous gifts, stationery and invitations but we now have a loyal customer base that continues to grow. How is having your own business different to what you expected? Yes and no. I expected it to be a challenge but in some ways it has been even more challenging than I had anticipated (and I hate doing the paperwork!). I had optimistically hoped that we'd be really busy from day one. What has been a highlight? Doing so well with the designs we have created ourselves. It took a while to get Le Bonbon in-house design up and going but now it's one of the strongest aspects of the business. Where do you look to for inspiration? I look to fashion for colour trends and constantly to the US paper market as they do social stationery so well. What's the best lesson you've learnt so far? Patience! Success doesn't come overnight. What are you passionate about right now? Christmas! We've got so many great Christmas cards, decorations, napkins and gifts that have just arrived from the US and I'm in love with them all. If you could meet one person, who would it be? Martha Stewart. I aspire to have that level of creative perfection. What are you looking forward to? Opening another Le Bonbon store (hopefully in mid to late 2008). What are you reading? I'm always reading Vanity Fair magazine - it takes me a good month to read it from cover to cover. Am looking forward to getting my hands on a good juicy novel at Christmas! Picture this: Friday night, too tired to cook, starving, a week off pay day ... did I mention starving! After reading a Bondi local recommend this restaurant in one of the Sunday newspapers a few weeks back had to check out The Italian on O'Brien Street. I can't tell you the amount of times I've walked past this place and thought that next time I should eat there instead of the usual favourite, Sabbaba. Anyway, finally gave it a go on Friday night and it was delicious: good, old-fashioned home-style cooking. No fancy fusion attempts here. 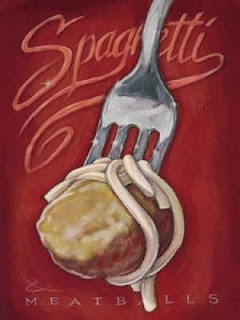 I had veal meatballs with spaghetti and D ate beef lasagne. Both hit the spot perfectly. Lizzie Buckmaster Dove is an artist who works with paper and found objects has recently exhibited at NG Art Gallery in Sydney's Chippendale. Here she shares a sneak peek at her studio in Coledale, on a stretch of coast between Sydney and Wollongong. Lizzie was born in Lilydale in Victoria and lived a nomadic life after her parents divorced. 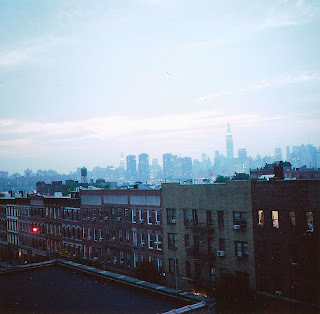 She studied fine art at COFA and majored in photography. After having her daughter, Nikki Christie was looking for a project that could combine her interests in children's clothing and vintage wares. She didn't want to compete with the large retailers so created a boutique shop The Bird & The Bee in Sydney's Bellevue Hill that supported local designers. How and why did you start The Bird & The Bee? One of the reasons I started the business was to go back to work after having my daughter Xanthe. I also thought there was a gap in the market for a unique children’s boutique. I didn’t want to compete with the larger stores selling mainstream product. And I wanted to indulge my passion for vintage finds and support local designers while also considering how disposable so much merchandise is today. So I try to always stock collectable pieces that will be held onto for years to come. What has been the response? I’ve had a great response. My customers know they can always find a unique piece that won’t be found in every store. How is having your own business different to what you expected? It’s a lot more stressful. You’re the only one to rely on when business is quiet. I also don’t get to spend as much time as I’d like with my daughter and husband. What has been a highlight? Having the opportunity to get my hands on so many great products and share them with everyone. And knowing that I’ve created a beautiful store and have loyal customers to enjoy it with me. Where do you look to for inspiration? I look into my own childhood. Much of the store is filled with vintage clothing and memorabilia, a lot of which has never been worn or played with. My daughter is another form of inspiration. What's the best lesson you've learnt so far? Location is very important. You definitely pay for passing trade. Also, always leave some money aside for marketing/advertising. Or, make sure you keep in touch with people who can help with editorial. And do what you love and you'll attract the crowd you want. What are you passionate about right now? Right now, I’m passionate about my second child which will be due mid next year. I will be focusing on my online store www.thebirdandbee.com as of January and plan to be working from home. My family will be taking centre stage for a while. If you could meet one person, dead or alive, who would it be? That’s a hard one! It would have to be someone from my distant family. Like a great, great grandmother. I wonder if she was anything like me? What are you looking forward to? I’m looking forward to summer. I plan on doing a lot of relaxing and building sand castles with my daughter. What are you reading? Eva Luna by Isabel Allende. I don’t actually read very much as I’m an active person who doesn’t really like to sit down. I do love the style and choice of subject matter in all of her books. She’s very passionate about all aspects of living. While visiting Melbourne to write a travel feature for Real Living magazine I met photographer Bernie Alibrando on one of her Walk To Art tours. She set up the business in 2006 while living in New York, and adapted it to her native Melbourne on her return. She wanted to showcase all the great street art, and artists, as well as small-scale galleries that the city has to offer. Over the years she has taken Walk to Art back to New York, and also run tours in Venice, Italy. What are you passionate about? Art, food and love too. Who inspires you? I'm inspired by amazing business people, my parents and artists who always manage to survive! What's your motto? To never be too busy that I don't have time to have a coffee. What lessons have you learnt so far? My lessons have been to breathe, to keep your mind, body and soul content. To have time to share, listen and celebrate. What advice would you give to someone who wants to pursue their passion? If you follow your passion you will always put in 150%. My advise would be to surround yourself with experts that could help in making your passion come alive. You need a community of people who understand what you do and share the same passion. It's important to believe in yourself and not to doubt! You need people and friends who validate you! What book is currently beside your bed? I'm reading Eat, Pray, Love. It's a bestseller in New York. It's a great book! 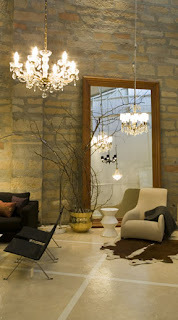 Greg Natale is one of Australia's most distinctive leading interior designers. He has carved out a niche creating eye-catching spaces that are thoroughly thought out and realised. Since starting his own practice in 2001 he was won many industry awards, and released various product ranges, including rugs and wallpaper. How did you get your break as an interior designer? Garth Barnett gave me my first job in 1997. What’s been the highlight of your career so far? Starting Greg Natale Design in 2001.
Who inspires you? Kelly Wearstler, Jonathan Adler, Tom Ford, David Chipperfield, the late English legendary designer David Hicks. What has been the best lesson you've learnt? Juggling creativity and business savvy. What are you passionate about right now? 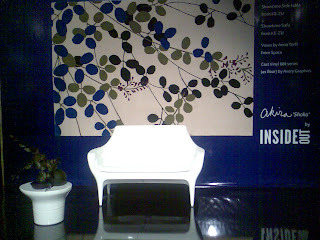 The colour blue, patterned carpet, white furniture, mid-century interiors, conservationism, simple wallpaper. If you could meet anyone dead or alive, who would it be? Tom Ford in his LA house designed by Richard Neutra. What are you looking forward to? 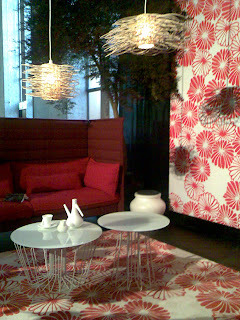 The release of Rise Lounging range for Stylecraft by Greg Natale in early 2008.